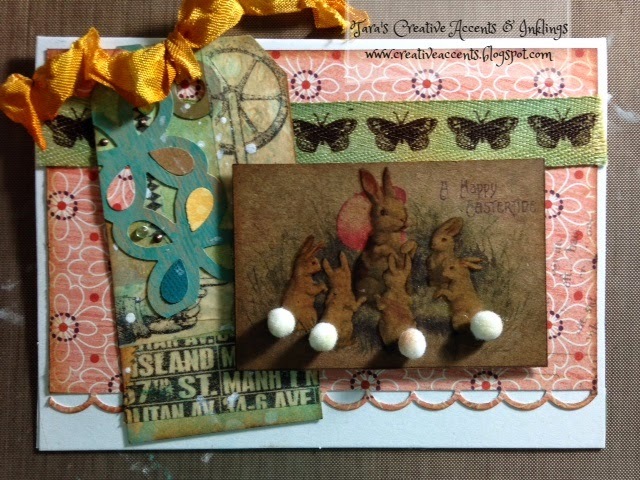 Just a quick post today to share an Easter card I made with the miniature version of the tag in my last post. 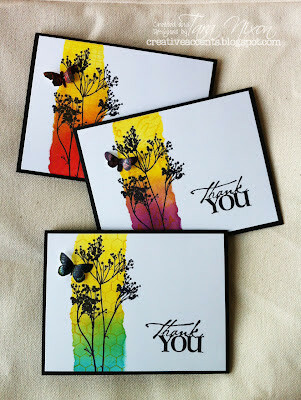 I added some patterned paper, ribbons and a kraft resist image by Tim Holtz (love these little vintage pieces of art!) which I added mini pompoms to for bunny tails. Sweet & Simple! I'm wishing you & your family a blessed Easter holiday! I hope you can take time to look for blessings from God each day and are able to enjoy time together with family and friends!